Harry E. Hodge passed away Monday, November 12, 2018 surrounded by his four loving children and loving daughter-in-law. Harry was 95 years old and was born in Asherville, Missouri on August 30, 1923 to James L. Hodge and Gussie M. Hodge. He was precedeased by his wife of 66 years, Barbara T. Hodge and son Ronald E. Hodge. Harry was raised in Missouri and moved to Pontiac, Michigan where he worked for General Motors in material control. After retirement, Harry and his wife, Barbara moved to Lakeland, Florida. From there, they moved to Clearwater Beach and he worked at the Clearwater Yacht Club for ten years. Their last move was to the The Villages, Florida. Harry loved life and lived it to the fullest. He served his country in World War II and was a Past Master of Roosevelt Masonic Lodge #510 in Pontiac, Michigan. 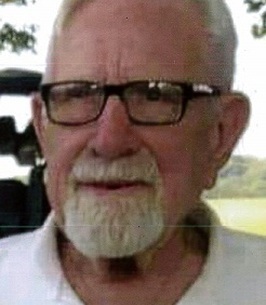 He was loved dearly by his surviving children, Patricia L. Hodge, Donna M. Hodge (Tom Cruce), Harry Glen Hodge (Jeanette Bottaro-Hodge), and James Art Hodge, all residents of The Villages. He will be missed greatly by his eleven grandchildren, and twelve great grandchildren as well as a host of nieces, nephews, and cousins. He is also survived by two sisters, Violet Crane and Lillian Adams. He was a joy and blessing to all that knew him. A memorial service and internment will be at Christian Memorial Gardens in Rochester, Hills, Michigan. Arrangements entrusted to Beyers Funeral Home and Crematory, Lady Lake, Florida. To send flowers to the family of Harry E. Hodge, please visit our Heartfelt Sympathies Store. Condolences to the family and friends of Harry. He was a long-time member and dedicated volunteer in our Sons of The American Legion Squadron #347 in Lady Lake. He will be missed in the kitchen every Monday evening. Squadron Everlasting now includes a great gentleman. I am so sorry for the passing of Harry, my condolences to his Family. I know well the pain of losing a loved one in death. What helps me is God’s promise at Revelation 21:4”-And he will wipe out every tear from their eyes, and death will be no more, neither will mourning nor outcry nor pain be anymore. The former things have passed away.” Very soon death will be no more and we both will see our loved ones again. I hope this brings you comfort and hope during this difficult time. We've lived in The Villages for 20 years and have known Harry for just about that long. Harry loved our dogs... he'd sit in the garage and as we walked past his house and he would great our dogs with treats. We so enjoyed talking with him as he played with our dog. He was the most caring and outgoing neighbor. He really loved life and lived it to the fullest. He's going to have lots to share with Barbara as they are reunited. Rest in peace Harry... you're one of the good guys and will be missed. Condolences go to Harry’s family and friends. He will be missed by us all but left with wonderful memories and good times for those of us who he was a huge part of our lives. RIP to a wonderful and loving man.